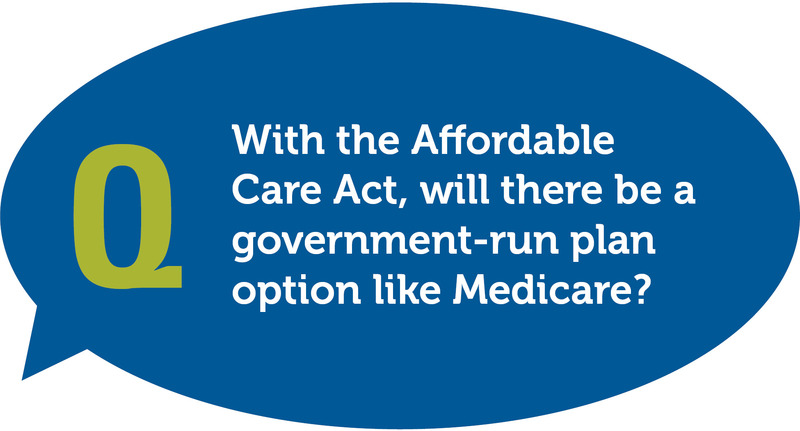 Will Healthcare Reform Offer a Government-Run Plan like Medicare? No. The Affordable Care Act does not create a new government-run health plan, but it does create a new marketplace for private plans through healthcare exchanges and expands Medicaid options. You’ll see changes in health plan options and the shopping experience. To learn more about the Affordable Care Act and healthcare reform, check out HealthCareLawGuide.com. Related Posts: When Will I Automatically Get Free Health Insurance Thanks to the Affordable Care Act? ; Come On, Am I Really Required to Buy Health Insurance? Infographic: Is Your Salad Really Healthy?